Then I grouped the books by color, got rid of some, and added a piece of artwork. I think the pops of color add a fun dimension to my studio. And apparently I remember books better by their color so it's easier to find what I'm looking for. If any of you give this a try, I'd love to see pictures. 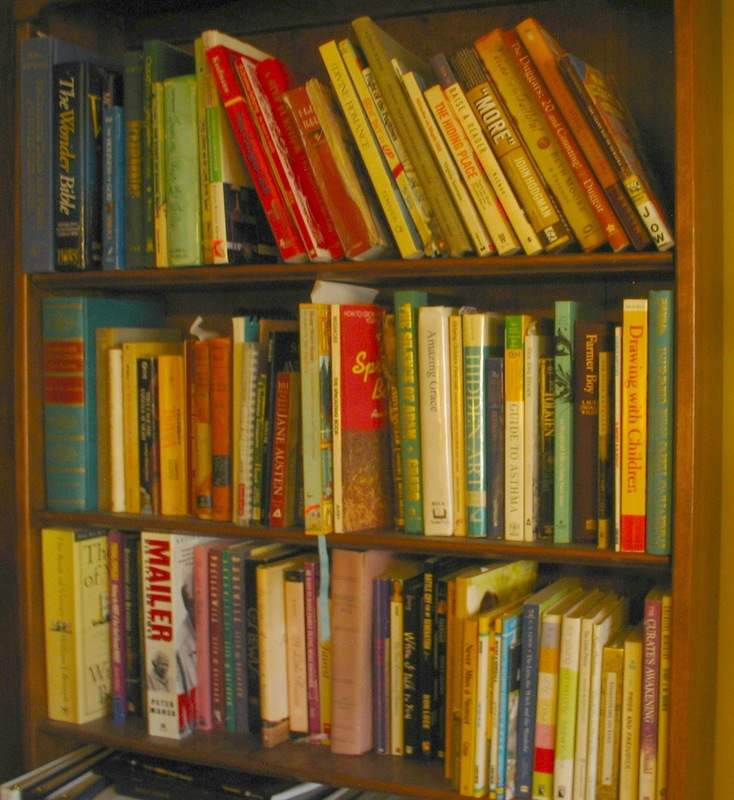 I've never heard of someone grouping books by color, but it's great. And, of course, it makes sense that an artist who loves words would group her books that way. I might try it! I think I need to clean out my bookcase. Yours is making me want to step into my computer and get a closer look. Well done and a great idea! I've enjoyed looking through your previous posts too! The story you wrote was sweet...I can think of many elderly people who would say holding a baby was the highlight of their month! Looks lovely! I'll have to remember this - I was just putting away books this afternoon and inwardly moaning that I have no organizational strategy! Great idea! I love the height arrangement - you won't miss a thing by that. Thanks for the visit and enjoy the rest of th week! 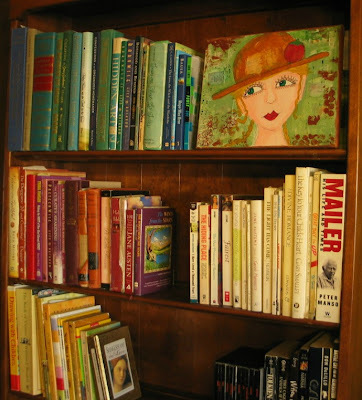 Ah bookcases - yours looks beautiful - I love the colour groupings. Have a wonderful Christmas and a blessed 2012. That looks great.. such a simple act and such a huge payoff..